When it comes to the butter aisle, picking the best product for your health can be a confusing decision that ends up leaving a lot of people stumped. It's no wonder so many people don't know whether they should be opting for butter or margarine as years ago we were continuously told that butter was a big no-no. This caused vegetable-oil based margarines to increase in popularity as doctors started warning patients about the dangers of saturated fats and recommending that margarine was the safer alternative for heart conditions. We're going to stop this confusion and reveal why you should never consume vegetable oil or margarine! Aside from “healthy whole grains,” vegetable oils and margarine are some of the most misunderstood and over-recommended foods in the health community. You’ve probably heard these referred to as “heart healthy oils,” a good alternative to those “artery clogging saturated fats.” These oils are supposed to help lower cholesterol and blood pressure, increase weight loss, and somehow improve overall health. Only one problem... again, science doesn’t back these claims up! What Are Vegetable Oils / Margarine? Vegetable oils (and margarine, made from these oils) are oils extracted from seeds like the rapeseed (canola oil) soybean (soybean oil), corn, sunflower, safflower, etc. They were practically non-existent in our diets until the early 1900s when new chemical processes allowed them to be extracted. Unlike butter or coconut oil, these vegetable oils can’t be extracted just by pressing or separating naturally. They must be chemically removed, deodorized, and altered. These are some of the most chemically altered foods in our diets, yet they get promoted as healthy. Vegetable oils are found in practically every processed food, from salad dressing to mayo to conventional nuts and seeds. These oils are some of the most harmful substances you can put into your body, but more on that in a minute! Vegetable oils are manufactured in a factory, usually from genetically modified crops that have been heavily treated with pesticides. Take for instance, the common Canola oil, the beauty queen of the vegetable oil industry. It was developed by making a hybrid version of the rapeseed, and it was given its name in the 1980s as part of a marketing effort organized by a conference on mono-saturates. 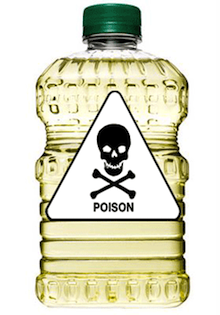 Rapeseed oil contains high amounts of the toxic erucic acid, which is poisonous to the body. Canola oil is an altered version, also called Low Erucic Acid Rapeseed (LEAR) and it is commonly genetically modified and treated with high levels of pesticides. Canola (modified rapeseed oil) is produced by heating the rapeseed and processing with a petroleum solvent to extract the oil. Then another process of heat and addition of acid is used to remove nasty solids (wax) that occur during the first processing. At this point, the newly created canola oil must be treated with more chemicals to improve color and separate the different parts of the oil. Finally, since the chemical process has created a harsh smelling oil, it must be chemically deodorized to be palatable. If the vegetable oil is going to be made into shortening or margarine, is undergoes an additional process called hydrogenation to make it solid at cold temperatures. Unlike saturated fats (butter, coconut oil, etc.) vegetable oils are not naturally solid at these temperatures and must be hydrogenated to accomplish this. During this process of hydrogenation, those lovely trans fats we’ve heard so much about are created. Nothing like petroleum produced, overheated, oxidized, and chemically deodorized salad dressing for dinner…. yum. What’s Wrong With Vegetable Oils? Our Bodies Aren’t Meant To Consume Them! The fat content of the human body is about 97% saturated and monounsaturated fat, with only 3% Polyunsaturated fats. Half of that three percent is Omega-3 fats, and that balance needs to be there. Vegetable oils contain very high levels of polyunsaturated fats, and these oils have replaced many of the saturated fats in our diets since the 1950s. The problem is that polyunsaturated fats are highly unstable and oxidize easily in the body (if they haven’t already oxidized during processing or by light exposure while sitting on the grocery store shelf). These oxidized fats cause inflammation and mutation in cells. I’ve talked before about how the body needs Omega-3 and Omega-6 fats in balance, preferably a 1:1 ratio. Most people consume a much higher ratio of Omega-6 fats, and this can lead to problems. In one study performed at the University of Western Ontario, researchers observed the effects of ten different dietary fats ranging from most saturated to least saturated. What they found is that saturated fats produced the least number of cancers, while omega-6 polyunsaturated fats produced the most. Numerous other studies have also shown that polyunsaturated fats stimulate cancer while saturated fat does not, and that saturated fats do not break down to form free radicals. Since vegetable oils are chemically produced, its not really surprising that they contain harmful chemicals. Most vegetable oils and their products contain BHA and BHT (Butylated Hydroxyanisole and Butylated Hydroxytoluene) which are artificial antioxidants that help prevent food from oxidizing or spoiling too quickly. These chemicals have been shown to produce potential cancer causing compounds in the body, and have also been linked to liver/kidney damage, immune problems, infertility or sterility, high cholesterol, and behavioral problems in children. Vegetable oils also contain residues of the pesticides and chemicals used in their growth and manufacture and most often come from genetically modified sources. Vegetable oils are extremely damaging to the reproductive system and the developing bodies of unborn babies and children. Because the reproductive system in both men and women is constantly producing and dividing new cells, there is potential for mutation and problems when these cells are made of the wrong kind of fats and are oxidized. "What the scientific literature does tell us is that low fat diets for children, or diets in which vegetable oils have been substituted for animal fats, result in failure to thrive–failure to grow tall and strong–as well as learning disabilities, susceptibility to infection and behavioral problems. Teenage girls who adhere to such a diet risk reproductive problems. If they do manage to conceive, their chances of giving birth to a low birth weight baby, or a baby with birth defects, are high." Excess consumption of vegetable oils also causes problems with hormone production, since hormones are dependent on certain fats for their manufacture. Vegetable oils that are hardened by hydrogenation to make shortening or margarine are especially damaging. Because vegetable oils oxidize easily, they deplete the body of antioxidants since the body must use these to attempt to neutralize the oxidation. People with high consumption of vegetable oils and their products are at risk for Vitamin E deficiency and other deficiencies. "In test animals, diets high in polyunsaturates from vegetable oils inhibit the ability to learn, especially under conditions of stress; are toxic to the liver; compromise the integrity of the immune system; depress the mental and physical growth of infants; increase levels of uric acid in the blood; cause abnormal fatty acid profiles in the adipose tissues: have been linked to mental decline and chromosomal damage and accelerate aging. Excess consumption of polyunsaturates is associated with increasing rates of cancer, heart disease and weight gain." In light of all that information, how do you sort out which oils are healthy, and which ones aren’t. Even more important, how do you know how much of each one to consume to be healthy? There is no nutritional need for these oils and healthy fats can be found in higher amounts and better ratios in many other types of fats. What To Do With The Vegetable Oils You Have Already? 10 Healthy Fats We Love! Filled with Medium Chain Fatty Acids and Lauric Acid, coconut oil is an all star of the saturated fats. Since the fat composition in cells in the body is largely saturated fat, it is important to get enough of it from healthy sources. Coconut oil does not oxidize easily at high temperatures or go rancid easily, making it a good choice for cooking and baking. It also makes a great natural moisturizer and can be substituted for butter. A good source of monounsaturated fats and great on salads or in guacamole. Avocado oil is milk tasting and can be used in salad dressings. 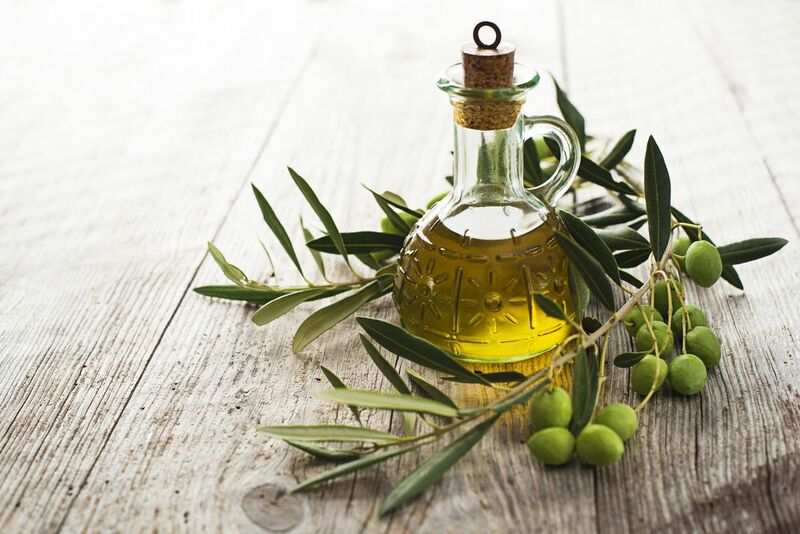 High in monounsaturated fats and low in polyunsaturated fats, olive oil is a great oil for salad dressings, homemade mayo, and cold recipes. It shouldn’t be used for cooking since its high monounsaturated fat content makes it susceptible to oxidation at high temperatures. 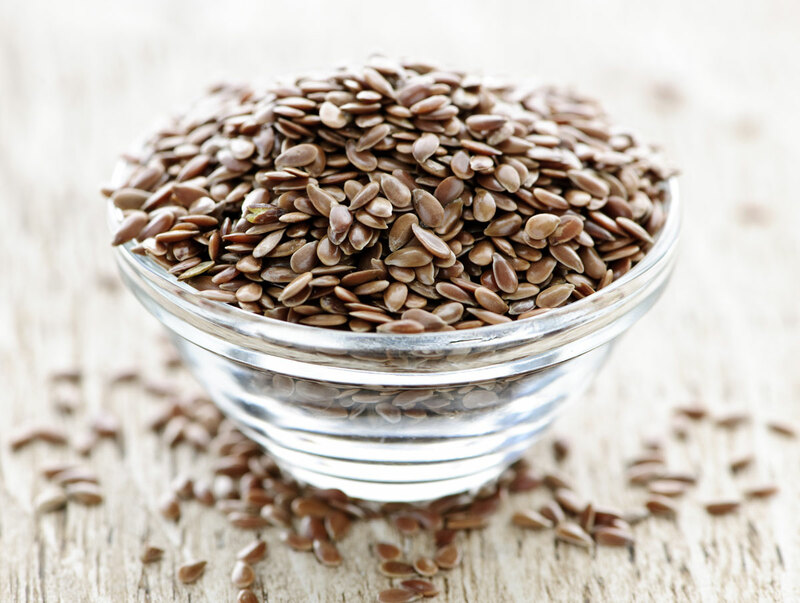 These seeds contain a good amount of Omega-3s and are great to add to salads and smoothies! I don’t recommend flax or chia oil however, as the Omega-3 is easily corrupted by heat and oxygen and can quickly go rancid. These are some of my favorite tasting oils, but it is expensive. It is great in salad dressings or mayo. It has a lot of monounsaturated fats and low levels of polyunsaturated fats. Most types of nuts (remember peanuts are not nuts) are a good source of protein and healthy fats and can be eaten in moderation without problem. Just check to make sure they haven’t been cooked in vegetable oils, which is often the case. Nuts also contain phytic acid, so consuming them in excess can be problematic for tooth and bone health unless you soak them. If you do consumer dairy then making sure it is organic / biodynamic, pasture fed and raw where possible is best. The cultured dairy products are by far easier to digest including yoghurt, kefir, cultured butter and cheese. When prepared in the traditional way using the best raw quality ingredients these foods can impart healthy fats including Vitamin D.
Another all-star in the healthy fats community, eggs are loaded with vitamins, healthy fats and necessary cholesterol. Make sure the eggs have been raised in a pastured environment so that the chickens are able to eat their natural wild diet of herbs, weeds and insects which is the basis for the rich omega-3 content in their eggs. Also, most of the beneficial fats are in the yoke and it is best kept gently cooked / under cooked. Many meats have gotten a bad rap, and unfortunately, the animals most people eat have been as mistreated nutritionally which is one of the biggest problems. If you choose to eat meat then meats like grassfed beef and free range chicken can have a very different nutritional profile than their feedlot counterparts. Grassfed and free range meats have higher nutrient levels, healthy forms of saturated fats and even omega-3s. 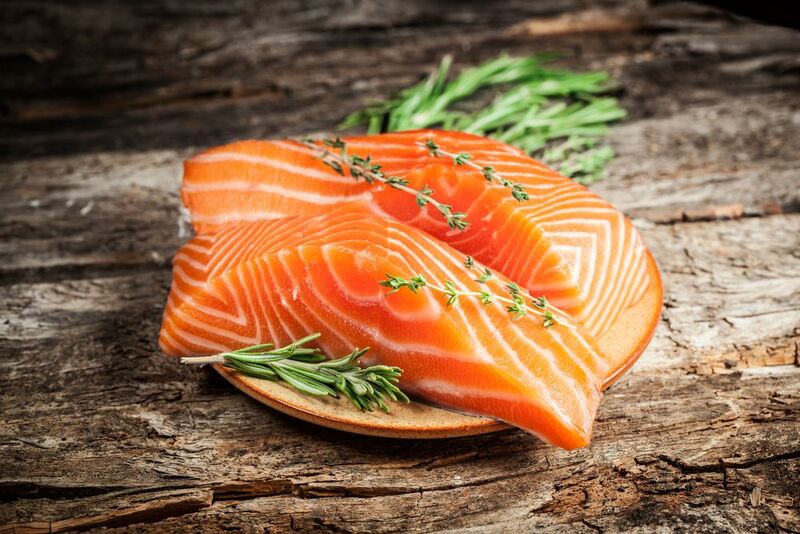 Fish are naturally high in Omega-3 fatty acids and can help improve the Omega-3/Omega-6 balance in the body. Look for sustainable wild caught sources, and stick to small fish to minimize mercury. You've probably had at least a few “senior moments” in your lifetime, who hasn't? Now this doesn't necessarily mean that you’ll develop Alzheimer’s disease; it just means that your brain has normal lapses just like everyone else’s. So if you’re like most of us, you probably want to keep your brain as sharp as possible as the years go by. Keeping your precious memories within reach is pretty important, because after all, they help define the very essence of your being. And since you’re never too young or too old to start, the best time to start protecting your memory is now. So consider these three proven memory-boosting supplements sooner than later. Why? Because they actually work. Acetyl-L-carnitine is a combination of carnitine (an antioxidant found in red meat) and an acetyl group. You've probably heard of acetylcholine. It’s the neurotransmitter that regulates thought, learning, and memory. Well, acetyl-L-carnitine helps its production. Huperzine A is a plant extract derived from Chinese club moss. It’s used in traditional Chinese medicine. Huperzine A works in a similar fashion to certain Alzheimer’s drugs. It inhibits acetylcholinesterase,3 an enzyme that breaks down acetylcholine. Young, healthy adults taking huperzine A have experienced improved learning and memory.4 Older adults have experienced benefits as well. In a review of four clinical trials, huperzine A was found to significantly improve cognitive scores in Alzheimer’s disease patients.5 It also improved the ability to perform activities of daily living. Magnesium L-threonate is a special type of magnesium that can easily cross the blood-brain barrier. This makes it unique because no other forms are known to cross easily. In a study, animals given magnesium L-threonate experienced an 18% increase in short-term memory and a 100% increase for long-term memory.6 So how does it work? Magnesium L-threonate increases synaptic density.7 These are the connections between neurons in the brain. The more connections, it’s believed, the better one’s memory, concentration, and attention span. Magnesium L-threonate also protects the brain against oxidative stress, a process which destroys neurons. For this reason, we seriously suggest giving this one an extra look. Remember — you’re never too young or too old to start taking care of your brain. Regardless of where you are in life, now is the time to start putting the health of yours into full focus. So exercise your brain daily, take on new hobbies or learn something new, and consider giving some of the supplements mentioned in this post a try. Being proactive now could mean many more enjoyable years later, filled with the memories you've spent your life creating. Have you been using any of the supplements we’ve mentioned above yourself? If so, please tell us what you think in the comments! Drugs Exp Clin Res. 1994;20(4):169-76. Zh Nevrol Psikhiatr Im S S Korsakova.2011;111(9):16-22. Zhongguo Yao Li Xue Bao. 1999 Jul;20(7):601-3. J Neural Transm. 2009 Apr;116(4):457-65. J Neurosci. 2011 Oct 19;31(42):14871-81. Since then, researchers have documented resveratrol’s ability to favorably modulate multiple processes associated with degenerative disease, from atherosclerosis to obesity. What had been lacking was a systematic, comprehensive overview of the available data to determine the underlying mechanisms by which resveratrol exerts its anti-aging effect. In 2011, the findings of the 2010 Resveratrol Conference2 held in Denmark were published. Its primary objective was to examine the totality of the evidence for resveratrol’s disease-preventing role in aging humans. Nearly 3,700 published studies were analyzed. In this article, you will discover the 12 mechanisms of action these experts identified by which resveratrol acts to combat the killer diseases of aging and delay the aging process itself. You will also learn of the latest data on resveratrol’s multimodal power to protect cells, tissues, and organ systems against five leading causes of death among Americans, including heart disease, cancer, and diabetes. The participating scientists at the 2010 conference covered a broad range of research on the biological effects of resveratrol. Since 1997, roughly 3,650 studies on resveratrol have been published, all of which were reviewed. Out of this extensive analysis they isolated 12 mechanisms by which resveratrol exerts its anti-aging, disease-preventing effects (See table 1). A thorough review of the literature was then undertaken to identify their relevance in onset of various forms of degenerative disease. They found confirmatory evidence of resveratrol’s preventive role in five of the leading causes of death in maturing Americans (See table 2). A recent international conference devoted to the subject of resveratrol found that this natural polyphenol has 12 key mechanisms of action, each of which contributes to reduction in the impact of factors contributing to premature death. Five of the leading causes of death may be prevented or mitigated by resveratrol supplementation, including heart disease, cancer, stroke, Alzheimer’s disease, and diabetes. Resveratrol’s ability to modulate 5 leading causes of death, along with its longevity-promoting effects, makes it an important part of every wellness program. Breaking news since the 2010 Resveratrol Conference shows that resveratrol fights cancer on multiple levels.20 The following is a summary of the latest on resveratrol and cancer prevention. Resveratrol targets 12 key mechanisms to combat chronic, age-related diseases, including those that comprise the primary contributing factors to the leading causes of death. Strokes are caused by many of the same vascular changes that trigger heart attacks: atherosclerosis, plaque formation, and ultimately blood vessel occlusion that deprive brain tissue of vital blood flow. In addition, aging and certain conditions like diabetes cause brain blood vessels to lose their ability to dilate and increase blood flow as needed, exacerbating damage caused during a stroke. When blood flow is restored after the acute blood vessel blockage is resolved, oxygen free radicals occur abundantly and cause the final destruction of brain tissue. That process is known as ischemia/reperfusion injury. Finally, new data show that treating diabetic animals with resveratrol restores the responsiveness of their brain arteries to blood flow variations.40 That allows them to re-direct blood flow to vital areas blocked by the stroke. Resveratrol targets 12 key mechanisms to combat chronic age-related diseases, including those that comprise the primary contributing factors to the leading causes of death. Much of resveratrol’s neuroprotection arises from its ability to interfere in the cascade of events caused by accumulation of abnormal proteins known as amyloid-beta.49 Amyloid-beta triggers oxidative stress and inflammation that directly damages brain cells, especially in memory centers of the brain. That’s why Alzheimer’s patients have such profound and progressive memory loss. 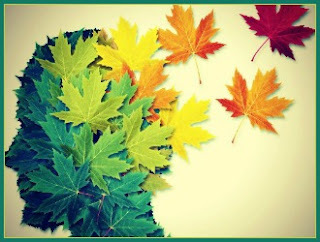 Studies released in 2010 revealed that, by activating specific intracellular signaling pathways, resveratrol can reduce toxicity caused by the excitatory neurotransmitter glutamate.54 Glutamate toxicity is thought to be a major trigger for Alzheimer’s disease symptoms. Diabetes is one of the most preventable chronic conditions known. It kills more than 70,000 Americans annually, and its complications impair function in hundreds of thousands more.3 Overweight and obesity, conditions that cause many cases of diabetes, now occur in nearly 70% of Americans, and contribute to untold numbers of additional untimely deaths.57 Resveratrol’s actions have been shown to protect against the development and consequences of this deadly condition. A 2010 international conference found that resveratrol operates via twelve key mechanisms to combat five of the ten leading age-related causes of death in the US. Studies released since that time further clarify and amplify the power of resveratrol to prevent, and in some cases reverse, the biological changes associated with chronic disease and aging. Compelling evidence is now available for resveratrol’s ability to favorably modulate factors implicated in the onset of heart disease, cancer, stroke, Alzheimer’s disease, and diabetes. 1. Jang M, Cai L, Udeani GO, et al. Cancer chemopreventive activity of resveratrol, a natural product derived from grapes. Science. 1997 Jan 10;275(5297):218-20. 2. Vang O, Ahmad N, Baile CA, et al. What is new for an old molecule? Systematic review and recommendations on the use of resveratrol. PLoS One. 2011;6(6):e19881. 3. Available at: http://www.cdc.gov/nchs/fastats/lcod.htm. Accessed August 31, 2011. 4. Dolinsky VW, Dyck JR. Calorie restriction and resveratrol in cardiovascular health and disease. Biochim Biophys Acta. 2011 Jul 1. 5. Chan V, Fenning A, Iyer A, Hoey A, Brown L. Resveratrol improves cardiovascular function in DOCA-salt hypertensive rats. Curr Pharm Biotechnol. 2011 Mar 1;12(3):429-36. 6. Subramanian M, Balasubramanian P, Garver H, et al. Chronic estradiol-17beta exposure increases superoxide production in the rostral ventrolateral medulla and causes hypertension: reversal by resveratrol. Am J Physiol Regul Integr Comp Physiol. 2011 Jun;300(6):R1560-8. 7. Azorin-Ortuno M, Yanez-Gascon MJ, Gonzalez-Sarrias A, et al. Effects of long-term consumption of low doses of resveratrol on diet-induced mild hypercholesterolemia in pigs: a transcriptomic approach to disease prevention. J Nutr Biochem. 2011 Aug 16. 8. Bastin J, Lopes-Costa A, Djouadi F. Exposure to resveratrol triggers pharmacological correction of fatty acid utilization in human fatty acid oxidation-deficient fibroblasts. Hum Mol Genet. 2011 May 15;20(10):2048-57. 9. Robich MP, Osipov RM, Chu LM, et al. Resveratrol modifies risk factors for coronary artery disease in swine with metabolic syndrome and myocardial ischemia. Eur J Pharmacol. 2011 Aug 16;664(1-3):45-53. 10. Xia L, Ding F, Zhu JH, Fu GS. Resveratrol attenuates apoptosis of pulmonary microvascular endothelial cells induced by high shear stress and proinflammatory factors. Hum Cell. 2011 Sep 3. 11. Takemura A, Iijima K, Ota H, et al. Sirtuin 1 retards hyperphosphatemia-induced calcification of vascular smooth muscle cells. Arterioscler Thromb Vasc Biol. 2011 Sep;31(9):2054-62. 12. Gutierrez-Perez A, Cortes-Rojo C, Noriega-Cisneros R, et al. Protective effects of resveratrol on calcium-induced oxidative stress in rat heart mitochondria. J Bioenerg Biomembr. 2011 Apr;43(2):101-7. 13. Bruedigam C, Eijken M, Koedam M, Chiba H, van Leeuwen JP. Opposing actions of rosiglitazone and resveratrol on mineralization in human vascular smooth muscle cells. J Mol Cell Cardiol. 2011 Jul 28. 14. Yang Y, Wang X, Zhang L, An H, Zao Z. Inhibitory effects of resveratrol on platelet activation induced by thromboxane a(2) receptor agonist in human platelets. Am J Chin Med. 2011;39(1):145-59. 15. Mukhopadhyay P, Pacher P, Das DK. MicroRNA signatures of resveratrol in the ischemic heart. Ann N Y Acad Sci. 2011 Jan;1215:109-16. 16. Usta E, Mustafi M, Walker T, Ziemer G. Resveratrol suppresses apoptosis in intact human cardiac tissue - in vitro model simulating extracorporeal circulation. J Cardiovasc Surg (Torino). 2011 Jun;52(3):399-409. 17. Sebai H, Sani M, Aouani E, Ghanem-Boughanmi N. Cardioprotective effect of resveratrol on lipopolysaccharide-induced oxidative stress in rat. Drug Chem Toxicol. 2011 Apr;34(2):146-50. 18. Available at: http://www.cdc.gov/nchs/fastats/cancer.htm. Accessed August 31, 2011. 19. Shukla Y, Singh R. Resveratrol and cellular mechanisms of cancer prevention. Ann N Y Acad Sci. 2011 Jan;1215:1-8. 20. Salado C, Olaso E, Gallot N, et al. Resveratrol prevents inflammation-dependent hepatic melanoma metastasis by inhibiting the secretion and effects of interleukin-18. J Transl Med. 2011;9:59. 21. Zahid M, Saeed M, Beseler C, Rogan EG, Cavalieri EL. Resveratrol and N-acetylcysteine block the cancer-initiating step in MCF-10F cells. Free Radic Biol Med. 2011 Jan 1;50(1):78-85. 22. Patel KR, Brown VA, Jones DJ, et al. Clinical pharmacology of resveratrol and its metabolites in colorectal cancer patients. Cancer Res. 2010 Oct 1;70(19):7392-9. 23. Yang YP, Chang YL, Huang PI, et al. Resveratrol suppresses tumorigenicity and enhances radiosensitivity in primary glioblastoma tumor initiating cells by inhibiting the STAT3 axis. J Cell Physiol. 2011 Apr 18. 24. Hsieh TC, Wong C, Bennett DJ, Wu JM. Regulation of p53 and cell proliferation by resveratrol and its derivatives in breast cancer cells: An in silico and biochemical approach targeting integrin alphavbeta3. Int J Cancer. 2011 Jan 10. 25. Brown VA, Patel KR, Viskaduraki M, et al. Repeat dose study of the cancer chemopreventive agent resveratrol in healthy volunteers: safety, pharmacokinetics, and effect on the insulin-like growth factor axis. Cancer Res. 2010 Nov 15;70(22):9003-11. 26. Chow HH, Garland LL, Hsu CH, et al. Resveratrol modulates drug- and carcinogen-metabolizing enzymes in a healthy volunteer study. Cancer Prev Res (Phila). 2010 Sep;3(9):1168-75. 27. Chatterjee M, Das S, Janarthan M, Ramachandran HK. Role of 5-lipoxygenase in resveratrol mediated suppression of 7,12-dimethylbenz(alpha)anthracene-induced mammary carcinogenesis in rats. Eur J Pharmacol. 2011 Oct 1;668(1-2):99-106. 28. Oi N, Jeong CH, Nadas J, et al. Resveratrol, a red wine polyphenol, suppresses pancreatic cancer by inhibiting leukotriene ahydrolase. Cancer Res. 2010 Dec 1;70(23):9755-64. 29. Tili E, Michaille JJ. Resveratrol, microRNAs, inflammation, and cancer. J Nucleic Acids. 2011;2011:102431. 30. Tili E, Michaille JJ, Adair B, et al. Resveratrol decreases the levels of miR-155 by upregulating miR-663, a microRNA targeting JunB and JunD. Carcinogenesis. 2010 Sep;31(9):1561-6. 31. Tili E, Michaille JJ, Alder H, et al. Resveratrol modulates the levels of microRNAs targeting genes encoding tumor-suppressors and effectors of TGFbeta signaling pathway in SW480 cells. Biochem Pharmacol. 2010 Dec 15;80(12):2057-65. 32. Trapp V, Parmakhtiar B, Papazian V, Willmott L, Fruehauf JP. Anti-angiogenic effects of resveratrol mediated by decreased VEGF and increased TSP1 expression in melanoma-endothelial cell co-culture. Angiogenesis. 2010 Dec;13(4):305-15. 33. Kunimasa K, Ohta T, Tani H, et al. Resveratrol derivative-rich melinjo (Gnetum gnemon L.) seed extract suppresses multiple angiogenesis-related endothelial cell functions and tumor angiogenesis. Mol Nutr Food Res. 2011 Sep 21. 34. la Porte C, Voduc N, Zhang G, et al. Steady-State pharmacokinetics and tolerability of trans-resveratrol 2000 mg twice daily with food, quercetin and alcohol (ethanol) in healthy human subjects. Clin Pharmacokinet. 2010 Jul 1;49(7):449-54. 35. Albani D, Polito L, Signorini A, Forloni G. Neuroprotective properties of resveratrol in different neurodegenerative disorders. Biofactors. 2010 Sep;36(5):370-6. 36. Bastianetto S, Quirion R. Heme oxygenase 1: another possible target to explain the neuroprotective action of resveratrol, a multifaceted nutrient-based molecule. Exp Neurol. 2010 Oct;225(2):237-9. 37. Sakata Y, Zhuang H, Kwansa H, Koehler RC, Dore S. Resveratrol protects against experimental stroke: putative neuroprotective role of heme oxygenase 1. Exp Neurol. 2010 Jul;224(1):325-9. 38. Agrawal M, Kumar V, Kashyap MP, Khanna VK, Randhawa GS, Pant AB. Ischemic insult induced apoptotic changes in PC12 cells: protection by trans resveratrol. Eur J Pharmacol. 2011 Sep;666(1-3):5-11. 39. Li C, Yan Z, Yang J, et al. Neuroprotective effects of resveratrol on ischemic injury mediated by modulating the release of neurotransmitter and neuromodulator in rats. Neurochem Int. 2010 Feb;56(3):495-500. 40. Arrick DM, Sun H, Patel KP, Mayhan WG. Chronic resveratrol treatment restores vascular responsiveness of cerebral arterioles in type 1 diabetic rats. Am J Physiol Heart Circ Physiol. 2011 Sep;301(3):H696-703. 41. Shin JA, Lee H, Lim YK, Koh Y, Choi JH, Park EM. Therapeutic effects of resveratrol during acute periods following experimental ischemic stroke. J Neuroimmunol. 2010 Oct 8;227(1-2):93-100. 42. Saleh MC, Connell BJ, Saleh TM. Resveratrol preconditioning induces cellular stress proteins and is mediated via NMDA and estrogen receptors. Neuroscience. 2010 Mar 17;166(2):445-54. 43. Zhang F, Wu Y. Resveratrol may be an effective prophylactic agent for ischemic stroke. J Formos Med Assoc. 2011 Aug;110(8):485-6. 44. Available at: http://www.cdc.gov/nchs/fastats/alzheimr.htm. Accessed August 31, 2011. 45. Kwon KJ, Kim HJ, Shin CY, Han SH. Melatonin potentiates the neuroprotective properties of resveratrol against beta-amyloid-induced neurodegeneration by modulating AMP-activated protein kinase pathways. J Clin Neurol. 2010 Sep;6(3):127-37. 46. Sun AY, Wang Q, Simonyi A, Sun GY. Resveratrol as a therapeutic agent for neurodegenerative diseases. Mol Neurobiol. 2010 Jun;41(2-3):375-83. 47. Wang J, Fivecoat H, Ho L, Pan Y, Ling E, Pasinetti GM. The role of Sirt1: at the crossroad between promotion of longevity and protection against Alzheimer’s disease neuropathology. Biochim Biophys Acta. 2010 Aug;1804(8):1690-4. 48. Albani D, Polito L, Forloni G. Sirtuins as novel targets for Alzheimer’s disease and other neurodegenerative disorders: experimental and genetic evidence. J Alzheimers Dis. 2010;19(1):11-26. 49. Feng Y, Wang XP, Yang SG, et al. Resveratrol inhibits beta-amyloid oligomeric cytotoxicity but does not prevent oligomer formation. Neurotoxicology. 2009 Nov;30(6):986-95. 50. Granzotto A, Zatta P. Resveratrol acts not through anti-aggregative pathways but mainly via its scavenging properties against Abeta and Abeta-metal complexes toxicity. PLoS One. 2011;6(6):e21565. 51. Kwon KJ, Kim JN, Kim MK, et al. Melatonin synergistically increases resveratrol-induced heme oxygenase-1 expression through the inhibition of ubiquitin-dependent proteasome pathway: a possible role in neuroprotection. J Pineal Res. 2011 Mar;50(2):110-23. 52. Richard T, Pawlus AD, Iglesias ML, et al. Neuroprotective properties of resveratrol and derivatives. Ann N Y Acad Sci. 2011 Jan;1215:103-8. 53. Ladiwala AR, Lin JC, Bale SS, et al. Resveratrol selectively remodels soluble oligomers and fibrils of amyloid Abeta into off-pathway conformers. J Biol Chem. 2010 Jul 30;285(31):24228-37. 54. Lee EO, Park HJ, Kang JL, Kim HS, Chong YH. Resveratrol reduces glutamate-mediated monocyte chemotactic protein-1 expression via inhibition of extracellular signal-regulated kinase 1/2 pathway in rat hippocampal slice cultures. J Neurochem. 2010 Mar;112(6):1477-87. 55. Manczak M, Mao P, Calkins MJ, et al. Mitochondria-targeted antioxidants protect against amyloid-beta toxicity in Alzheimer’s disease neurons. J Alzheimers Dis. 2010;20 Suppl 2:S609-31. 56. Vingtdeux V, Giliberto L, Zhao H, et al. AMP-activated protein kinase signaling activation by resveratrol modulates amyloid-beta peptide metabolism. J Biol Chem. 2010 Mar 19;285(12):9100-13. 57. Available at: http://www.cdc.gov/obesity/data/trends.html. Accessed August 31, 2011. 58. Yun JM, Chien A, Jialal I, Devaraj S. Resveratrol up-regulates SIRT1 and inhibits cellular oxidative stress in the diabetic milieu: mechanistic insights. J Nutr Biochem. 2011 Aug 1. 59. Ghanim H, Sia CL, Abuaysheh S, et al. An antiinflammatory and reactive oxygen species suppressive effects of an extract of Polygonum cuspidatum containing resveratrol. J Clin Endocrinol Metab. 2010 Sep;95(9):E1-8. 60. Knight CM, Gutierrez-Juarez R, Lam TK, et al. Mediobasal Hypothalamic Sirtuin 1 Is Essential for Resveratrol’s Effects on Insulin Action in Rats. Diabetes. 2011 Sep 6. 61. Brasnyo P, Molnar GA, Mohas M, et al. Resveratrol improves insulin sensitivity, reduces oxidative stress and activates the Akt pathway in type 2 diabetic patients. Br J Nutr. 2011 Aug;106(3):383-9. 62. Bashmakov YK, Assaad-Khalil S, Petyaev IM. Resveratrol may be beneficial in treatment of diabetic foot syndrome. Med Hypotheses. 2011 Sep;77(3):364-7. 63. Chang CC, Chang CY, Wu YT, Huang JP, Yen TH, Hung LM. Resveratrol retards progression of diabetic nephropathy through modulations of oxidative stress, proinflammatory cytokines, and AMP-activated protein kinase. J Biomed Sci. 2011;18(1):47. 64. Chen KH, Cheng ML, Jing YH, Chiu DT, Shiao MS, Chen JK. Resveratrol ameliorates metabolic disorders and muscle wasting in streptozotocin-induced diabetic rats. Am J Physiol Endocrinol Metab. 2011 Jul 26. 65. Kim YH, Kim YS, Roh GS, Choi WS, Cho GJ. Resveratrol blocks diabetes-induced early vascular lesions and vascular endothelial growth factor induction in mouse retinas. Acta Ophthalmol. 2011 Sep 13. Maylin Rodriguez-Paez, RN A cancer diagnosis is probably just about the scariest news anyone could ever receive in their life. It can also be very confusing. There’s tons of information to weed through and it’s very easy to become overwhelmed, scared, and discouraged. As such, here’s an attempt to simplify the basics of a critical component for anyone following a cancer diagnosis — your nutrition. A healthy, nutritious diet is really important when you’re being treated for cancer. It can make a big impact on the outcome of your treatments and your quality of life. So, it’s essential that you take your diet very seriously during this time. If you or someone you love has been diagnosed with cancer, we really hope this helps to take some of the guesswork out of the equation. According to research, eating fruits and vegetables could lower one’s overall risk of dying from cancer.1 So, they should form the foundation of your diet. In particular, pay extra attention to cruciferous vegetables (e.g. kale, broccoli, radishes, and cauliflower). They’re notable for their anti-cancer properties. Avoid refined carbohydrates, sweets, and foods with added sweeteners. They contain simple carbohydrates which are quickly broken down into sugar. 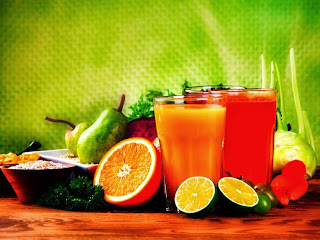 Be careful with juicing. 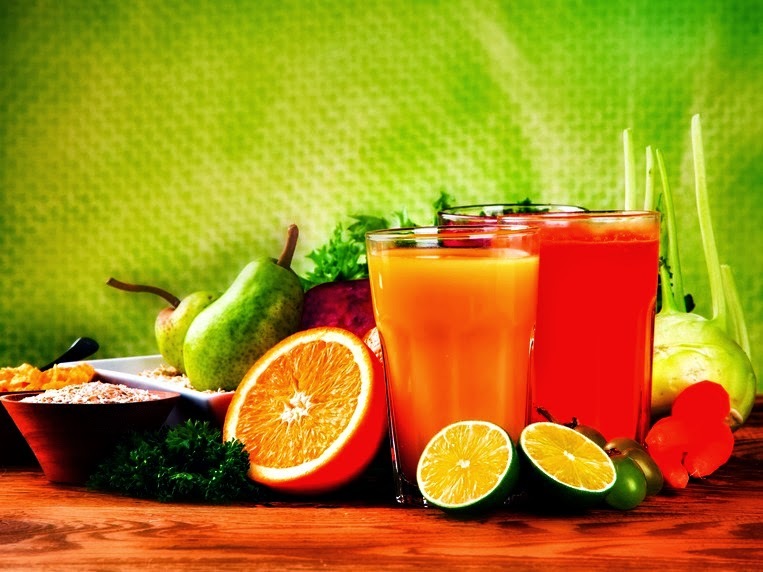 It’s a great way to incorporate more vegetables into your diet, but it can also be a source of excess sugar (if you’re juicing fruits). Eat whole fruits instead. Eat anti-inflammatory foods instead. Flax seeds, chia seeds, tart cherries, olives, soy, seaweed, dark fruits, berries, cold water fish, green tea, ginger, and nuts are just to name a few. And let’s not forget, omega-3s which help to ease inflammation. Incorporate immune boosting foods into your diet. These include garlic, onions, ginger, green tea, yogurt, oats, barley, and mushrooms. Clinical trials are in the early stages, but so far compelling results have been seen for cancers of the breast, uterus, cervix, prostate, and GI tract. However, since supplementation can be tricky for cancer patients, it’s best to receive personalized suggestions before starting a new program. And just in case you didn't already know, we have a team of oncology health advisors on staff that can help with just that. If you’d like some guidance, consider giving them a call at 1-800-226-2370 (yes, it's free)! Am J Epidemiol. 2004 Dec 15;160(12):1223-33. Acta Obstet Gynecol Scand. 2007 Oct;86(10):1263-8. J Nat Prod. 2008 Nov;71(11):1911-4. Exp Biol Med (Maywood). 2004 Sep;229(8):835-42. Cancer Epidemiol Biomarkers Prev. 2010 Jul;19(7):1806-11. Integr Cancer Ther. 2003 Dec;2(4):315-29. Mol Cell Biochem. 2010 Mar;336(1-2):25-37. Cancer Metastasis Rev. 2007 Dec;26(3-4):503-24. Front Biosci (Schol Ed). 2012 Jan 1;4:335-55. Br J Cancer. 2009 Sep 15;101(6):916-23.